We have all been forgiven and been asked to forgive. It is as vital to life as the beats of our hearts. But I wonder: how far is its reach? Does it slip into the back pews of churches? Does it sleep in the annals of international cities? Does it accompany a murderer as he walks toward his death? Does it take refuge in places we dare never go? I have forgiven many things: the heartrending and the petty, the soul-stealing and the trivial. But I have never forgiven another human being for killing someone I love. I have never seen scarlet ribbons descend from their bodies or heard their terror-filled screams. I have never been put in that place and pray I never will. But the people in the documentary Beyond Right & Wrong: Stories of Justice and Forgiveness have. They exhale the loss and pain of those whose loved ones were taken, and inhale the redemptive power of forgiveness. Jo Berry, founder of Building Bridges for Peace, is one such person. Her father, Sir Anthony Berry, was one of five killed in the October 12, 1984 bombing of the Grand Hotel in Brighton, England. Patrick Magee, the IRA soldier who planted the bomb, served 14 years in prison and was released in 1999 as part of the Good Friday Peace Agreement. The two met for the first time in November 2000. Well, one thing that, um, hit me, uh, after…I couldn’t tell you when exactly this happened. You talked about your father and I got more a picture. He was a human being, who had shaped you. In other words, um, all the things that I admire in you came, in some measure, from your father <sil>. That means this was a fine human being <sil>. And I killed him. 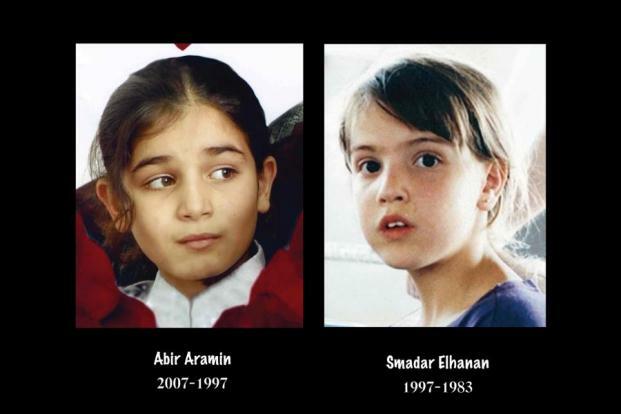 Bassam Aramin, a Palestinian Muslim, and Rami Elhanan, an Israeli Jew and son of a Holocaust survivor, both lost their daughters. Abir Aramin was standing outside her school when she was shot by an Israeli soldier. She was 10. Smadar Elhanan was walking to get books with two friends in Jerusalem when she crossed paths with two suicide bombers. She was 14. Their fathers are now members of Combatants for Peace, a movement of Palestinians and Israelis who were once dedicated fighters and now seek to end the conflict through dialogue and non-violence. Abir’s murder could have led me down the easy path of hatred and vengeance, but for me there was no return from dialogue and non-violence. 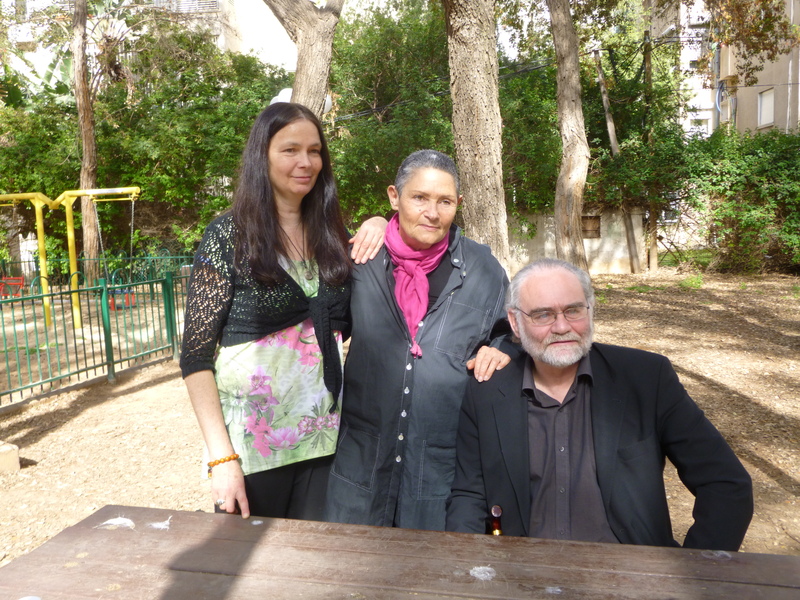 After all, it was one Israeli soldier who shot my daughter, but one hundred former Israeli soldiers who built a garden in her name at the school where she was murdered. 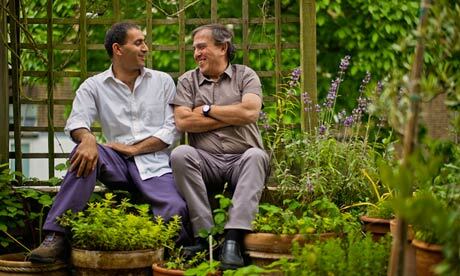 Bassam and Rami remain friends and have worked on a project documenting their lives, losses and steps toward peace. It is called Within the Eye of the Storm: When Enemies Turn to Brothers. 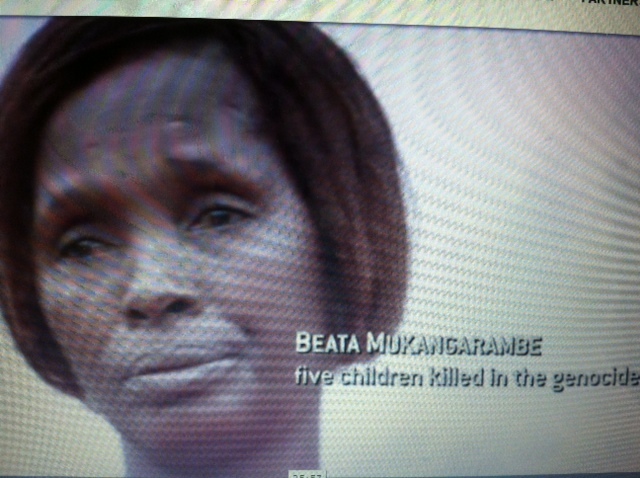 Beata Mukangarambe is a Rwandan genocide survivor; her five children are not. That man was Emmanuel Bamporiki. He had just been released from prison after serving seven years for crimes committed in the genocide. He spoke of his own personal pain. Of being haunted by those he killed. Of hearing the voices of children screaming for their mothers as they were chased down by men wielding machetes. Forgiveness does not erase the past. It does not equal permission and does not mean you agree with the offender or his offense. It means that you release him from judgment and release yourself from bitterness, hatred, and revenge. Forgiveness is recognition that among our human complexities is our ability to do both good and evil, house both good and evil. But that evil does not make us inhuman. It makes us imperfect. I could be Israeli with eyes the color of sea glass and waist-length hair. I could be a skinhead. I could be a Tutsi child with legs like dandelion stems and a swollen belly. I could be a terrorist ready to die for my cause. I could be your sister, your mother, your enemy. I could be you. And you? You could be me. And if instead of backing away in fear, I walk forward, extend my hand and place it over your heart, its rhythm would feel the same as mine would to you. Spottiswoode, R. (Director), & Singh, L. (Producer). (2012). 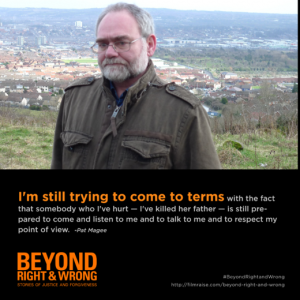 Beyond Right & Wrong: Stories of Justice and Forgiveness [Documentary]. United States: Article 19 Films. ← What will you say when I die? Dani, I believe passionately in the power of forgiveness. I also believe it requires repentance on the part of the offender. And now your post stirs up a maelstrom of thoughts, and I am not sure where they will settle. But I do know that you have been given avery special gift and that you are developing and sharing that gift in a way that transforms lives and thoughts. Thank you! Stephen, I’m so glad we’ve been able to discuss this further and look forward to future conversations. You are a treasured friend and I thank you for your willingness to listen and consider. I promise to always do the same. Deep and powerful, Dani. And so needed in a world spinning out of control with violence and revenge. I, too, organize my closet by colors and length, a beautiful rainbow, and wish the world were so easy to harmonize.. Thank you so much, Jane. And “Amen” to your closet comment. I wish it were as simple, as well. Michelle, I just loved your comment. Thank you for understanding the heart of my message and for truly hearing me. and stuff stirred up long settled down and in place. …there would be nothing to forgive, as all was already gone and cast as far away as the east is from the west! I couldn’t deal in fast enough!! Don’t know how ya do it SIs, but ya did it again. What a beautiful comment, Charissa. I’m so glad you were able to break those chains and walk forward in love…for yourself. Much love to you, my gracious friend. I’m so glad you’ve been able to do so, Krissy. Thank you for your comment and your time. I have forgiven people who have harmed me directly but I’ve never been in a situation where I had to forgive a person who hurt someone I love. 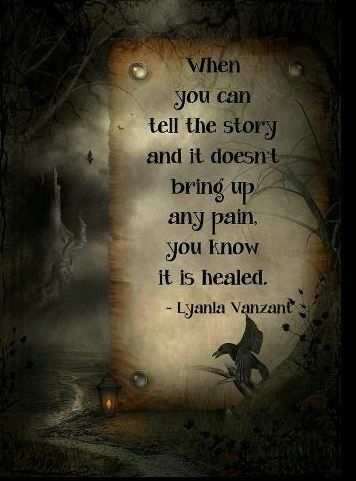 That feels more difficult and I hope I never have to find out if it is. This is such a beautiful and painful post, especially with all that’s going on in the world. Thank you for sharing these links, Dani. Karen, thank you for taking the time to read and comment. It truly means so much as many shy away from longer posts. I believe you are right, forgiving trespasses against those we love may be harder than forgiving offenses against ourselves. 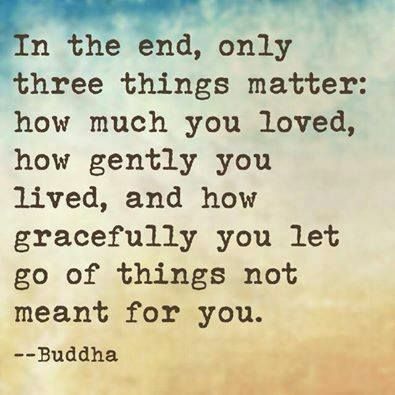 And I also hope I don’t have to find out if it’s true, but I suppose I will, as life has a way of marching us toward things that stretch and scare. My prayer is that I won’t offer simple lip-service when the time comes, but that I will truly forgive from the inside to the outside. I’d like to say, that,s point it’svery hardware to talking about. The “Lourdes letter” days that the words it’s finishing because the Russian’s country is not been take care about. I thing your text in this time it’s the most point difficult for talking about and you did. Congratulazioni !!!!!!! Beijos!!!! Thank you for commenting, irma. I appreciate your words and heart. Wow. Dani, your depth of feeling and willingness to share continue to inspire us to rise above the noisy world of distraction. You, my dear, are an angel of love. I love you, my friend, and cannot wait to see you – soon!!! And you are an angel of kindness, Ginny. Thank you for your beautiful words. Gracie, I am truly touched that you took the time to read and comment. Thank you for reminding me how important it is to speak words of truth and that they are heard. What a timely post considering the violence around our world. I was pulled in by your words and pushed out of my petty unforgivenesses by the acts of the heroes you wrote about. The extraordinary thing is that we can all be heroes of forgiveness if we just give up the right to hurt someone else (and in doing so we give up hurting ourselves). Thank you for an uplifting and informative post! What a kind comment. Thank you so much. WOW! Intense. Your posts always make me think, and think hard. I have to admit that in certain situations, I find it hard to forgive. 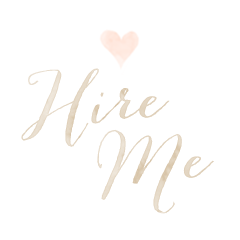 I really want to learn how as I feel that I cannot do it on my own for one particular situation. Always look forward to your posts! Love you……Sherry! I think it’s being open to it, Sherry. But it’s still challenging, even when we want to forgive.